"First we eat then we do everything else." I grew up visiting my grandparents who lived in Biñan, Laguna every Sunday. They have long since passed away and the tradition of weekly visits to the ancestral home has been forgotten, but what always comes to mind when I think of Laguna is the food that my lola (grandmother) used to serve every time we'd visit. She cooked the BEST sinigang (sour soup), in my opinion. Instead of meat cubes, she used ground meat, and it tasted absolutely divine! She also served goto or arroz caldo (rice porridge), puto and other types of kakanin (rice cakes), among others. So yes, when the word Laguna is mentioned, the first thing I think of is FOOD! Laguna is a favorite destination of ours for Opus Macchina and Get Lost because it offers a variety of options for those looking for a quick escape from the city. 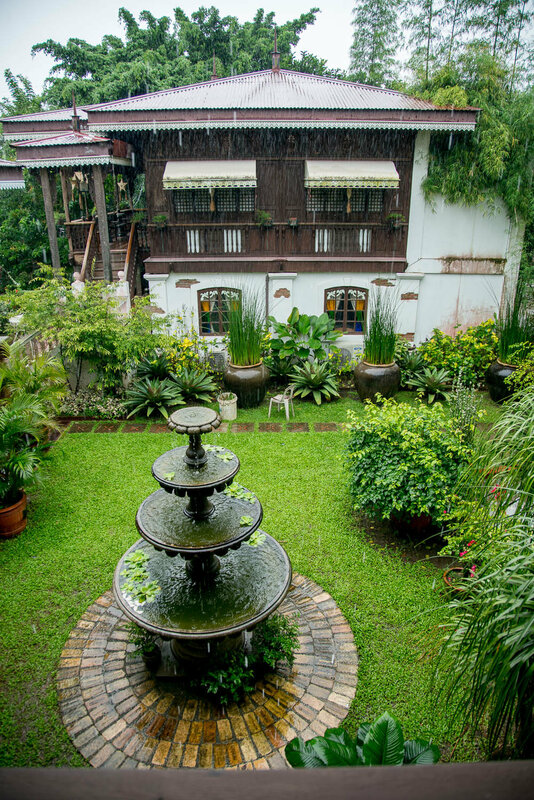 A few weeks ago I wrote about our Santa Rosa, Laguna finds. This time around, let me give you a rundown on some of my favorites from San Pablo and Los Baños, Laguna. Everytime we tell Opus Macchina co-founder Enzo Teodoro that we'll be going to San Pablo for a shoot, he'll give us a wide eyed look and say "Sulyap!" 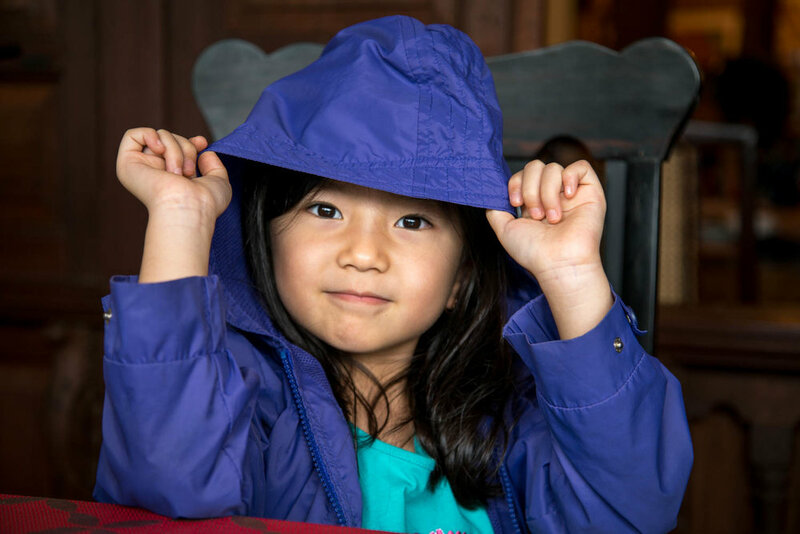 This restaurant is the favorite of everyone in the group, even the kids! Specializing in the traditional Filipino food, we find ourselves always looking for their boneless bangus (milkfish) belly, kulawong puso ng saging (banana heart with coconut shreds cooked in charcoal) and leche flan. Add that to the other viands available on the menu, and we always leave the place stuffed and content. 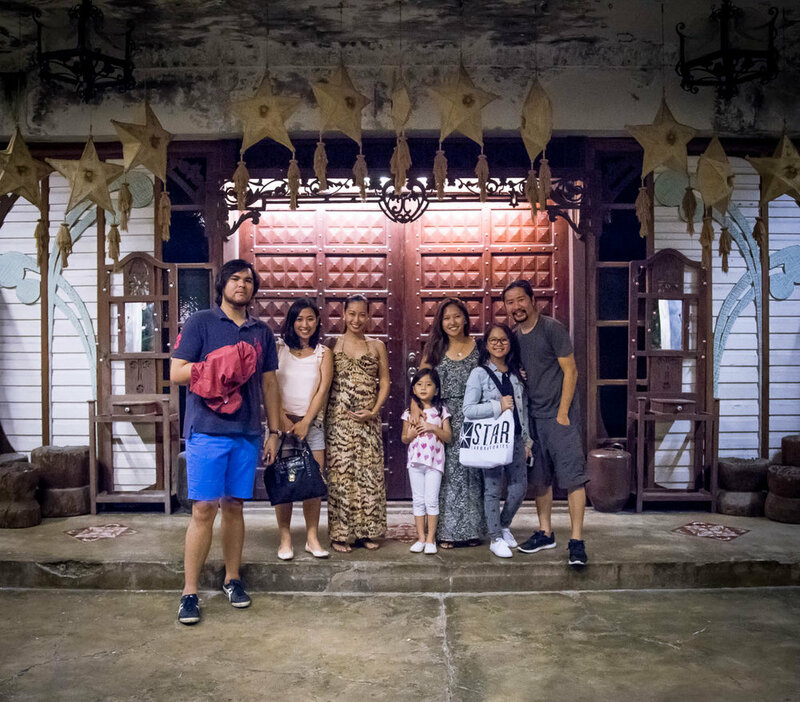 Similar to the story of the heritage houses in Las Casas Filipinas de Acuzar in Bataan, the owners of Sulyap Gallery Cafe and Restaurant bought the restaurant structure in Quezon for about Php 70,000 (approximately USD 1,400.00). It was taken apart piece by piece, labeled and numbered accordingly, then reinstalled in its current San Pablo location. Cost for the transfer and reinstallation amounted to almost twenty times the amount that it cost them to buy it. 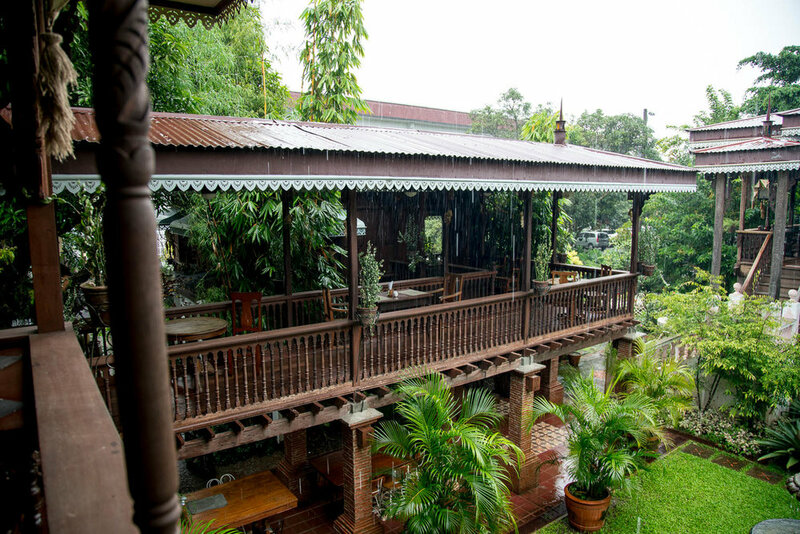 More than just a restaurant, Sulyap is also a bed and breakfast with a museum, function hall, and a swimming pool. I guess it's safe to call it a mini-resort? 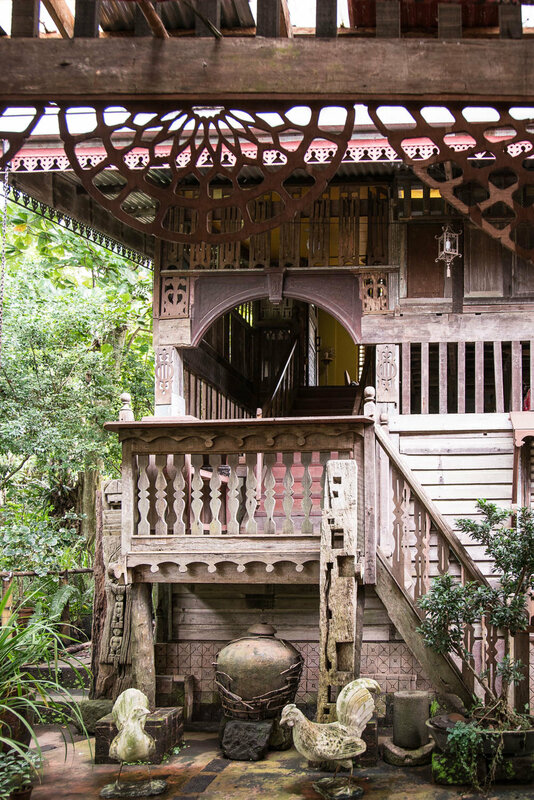 We were told that both owners love antiques and everything in the museum is from their personal collection. A lot of the items were so old that even I couldn't explain to the kids what they were for. Good thing someone from the restaurant stepped in to give us an informal tour! Google not needed this time. It's a must for us to visit Sulyap every time we're in the area. The ambiance is so relaxed, the food makes us forget that we're on diets, and the exceptional service of the staff always make us want to go back for more. Who can say no to cakes, especially to moist, fudgy, and light chocolate cakes? Definitely not me. Yes, my will power is close to non-existent and when faced with chocolate cake from Mer-nel's. Whatever will power is left just crumbles like the crust of a freshly cooked apple pie. Yes. Food is my weakness. Los Baños is known for its hot springs and the Laguna branch of our national university, University of the Philippines. To me, when you say Elbi (LB, short for Los Baños), I think of the treat that I'll buy myself even if there's no occasion. Being in the "home of the famous chocolate cake" justifies this, right? Did I mention that it's also VERY affordable at less than Php 300 (approximately USD 6) for an 8-inch round cake? I've reached that point wherein my phone is my life -- working on the go is made possible with just my phone and mobile data. It's convenient because I'm not stuck in front of my computer, but it's also a huge time sucker away from those who matter because there are times when I'm physically present but mentally elsewhere. And I'm not the only going through this, I'm sure! There are times when I consciously put my phone far from me so that I can be in the moment and enjoy the company of friends and family. Slowing down doesn't come naturally to me but when I'm in places like Patis Tito, it makes it so much easier for me to unplug even for a couple of hours. 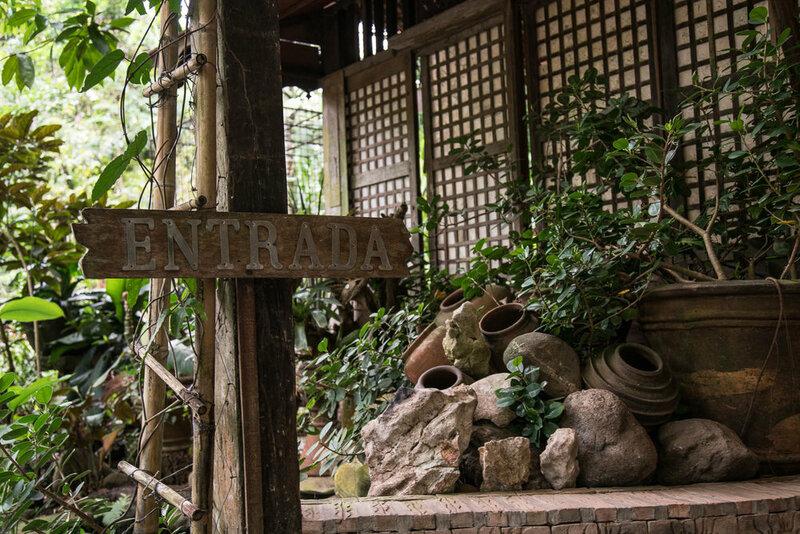 Established in 2011 by designer, artist and environmentalist Patis Tesoro along with her lawyer and professor husband Tito Tesoro, Patis Tito Garden Cafe is another must visit destination when in San Pablo. 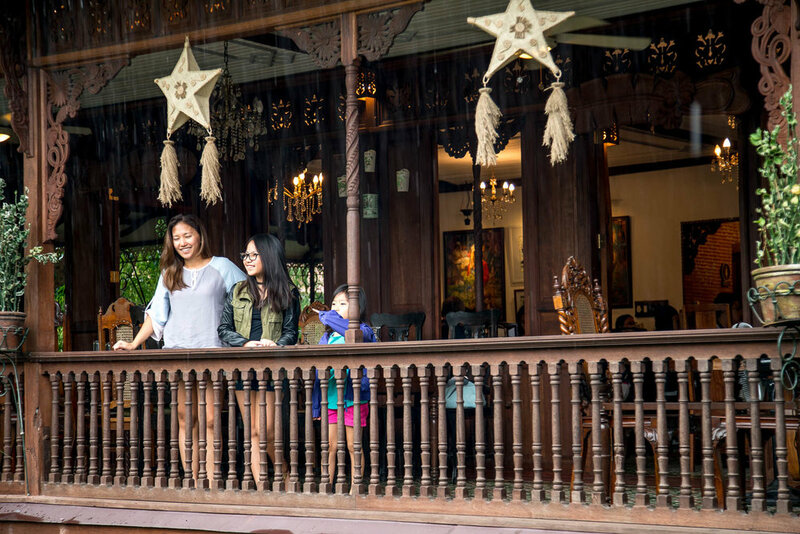 Before you enjoy your slow cooked Filipino meal, go around the vast garden and explore the nooks and crannies of the place. I like that the place looks and feels organic and not too landscaped or structured. Having a lot of plants gives you a lot of ammo to prettify whatever you're serving. Case in point -- check out the beautiful plating below. Everything is slow cooked so please don't expect your food to be served in 15 minutes. Our favorites are the beef steak and spring rolls! It's really a wonderful place to just unplug and have a slow afternoon with great company and interesting conversation. And if you want to stay the night, they also have a bed and breakfast in the same compound. Patis Tesoro, known as the Grande Dame of Philippine Fashion or the Mother of Bohemian Filipiniana, also has an area for her designing business. I used to dabble in fashion design, so seeing some of her creations was quite a treat for me. Saving my other favorites like Tuding's and other hole in the wall joints in Biñan where we buy the yummiest arroz caldo, goto and pancit (noodles) for another article. In the meantime, why not try my recommendations above this weekend? 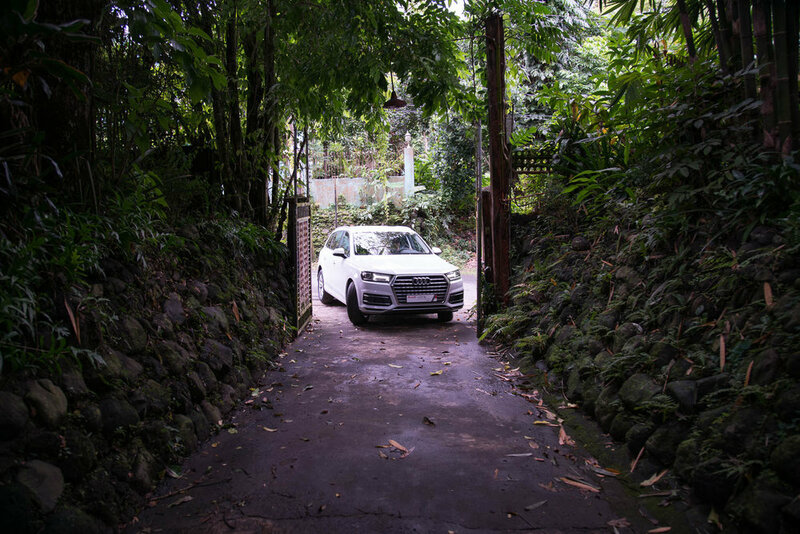 We'd like to extend our sincerest appreciation to Audi Philippines, MINI Philippines and Toyota Motor Philippines for being part of our road trips. Articles on the 2016 Audi Q7 3.0 TDI Quatrro Premium and 2015 Toyota Camry 3.5 V6 are now up on OpusMacchina.com. MINI Clubman article coming soon.